Meet Angelo, a 9 year old San Cristobal native. 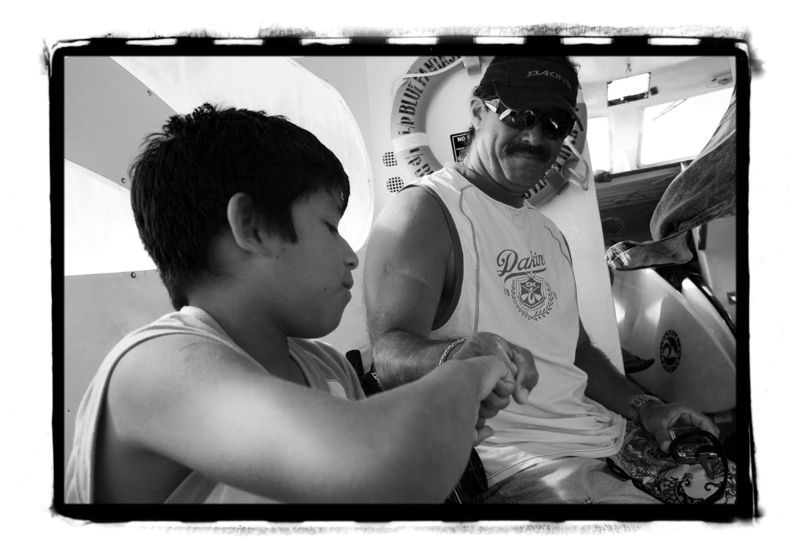 Angelo’s father is first mate of the Blue Fantasy, the vessel that took us out each day in search of Galapagos surf. When I first met Angelo he was extremely shy and to be honest, a bit unenthusiastic about being dragged along on our surf adventure. It seems that he has been in this situation before; weekends for him are often spent waiting out the day while his dad works taking tourists around. Feeling a bit badly for him, I decided to put my high school Spanish to use and make it my mission to get to know the poor guy. I ventured out a “como estas?” and his face immediately lit up. Apparently getting attention from tourists is not something that he is used to. We talked about everything from his favorite subject in school to what he ate for breakfast (thank you Spanish 101.) I learned that he had never been much of a swimmer, resulting in many a boring boat day, and he had planned on today being just the same. Lucky for Angelo however, standup paddling in flat water is quite a bit different than the surfing he is used to watching. My friend Curtis quickly assumed the role of standup instructor, showing Angelo the basics of standup paddleboarding. Since standup requires the rider to be more on top of the water than actually being in the water, we felt confident that Angelo would be great at it in no time as long as we kept a close eye on him. It only took about 5 minutes before the two of them were paddling away from the boat with huge smiles on their faces. 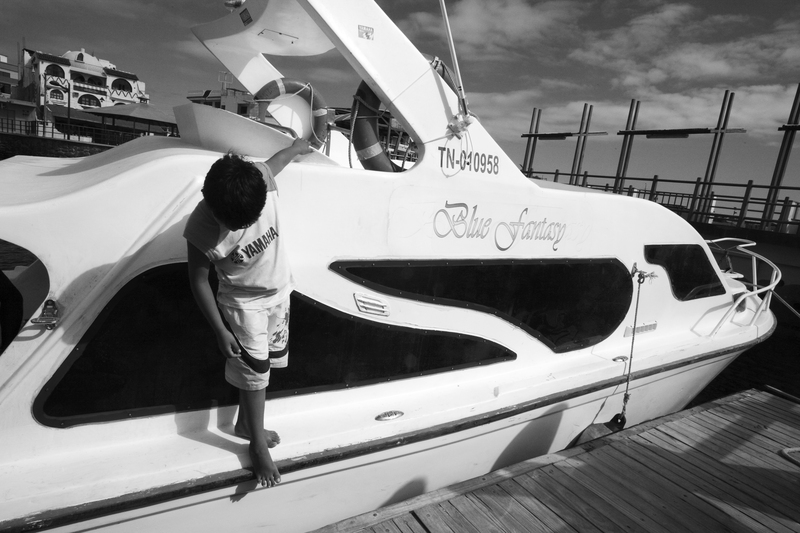 Angelo was a bit shaky at first, but in between stumbles, he would turn to the boat to proudly wave at his dad. Although it was obvious that Angelo was enjoying himself, it was hard to determine if it was he or Curtis who was having the most fun. It is difficult to describe the feeling I had watching the two of them have such a good time. In the hour they spent in the water, I watched a bond form between the them that will last a lifetime. When this trip is over, it is unlikely that they will ever see each other again, but it is clear that today was a day that neither Curtis nor Angelo will soon forget. The situation proves how important traveling actually is–not just to the one traveling, but to the people we encounter along the way. While foreign places teach us so many new things, our everyday activities can be exciting and adventurous to someone else. The things we see as normal, and that we do all the time just might make someone elses day.